The most fun you’ll have on four wheels! Enjoy a ride on a quad bike through Rum Jungle in Batchelor on dirt tracks with your tour guide. The tour will take you to lookouts, where you have a spectacular view of Rum Jungle. Here you can experience the isolation previously only familiar to early Northern Territory explorers. Guides will introduce you to native plants and vegetation along with the rich cultural history of the Batchelor and Litchfield regions. See kangaroos, frilled neck lizards, reptiles, and a mountain of wildlife in their natural environment. 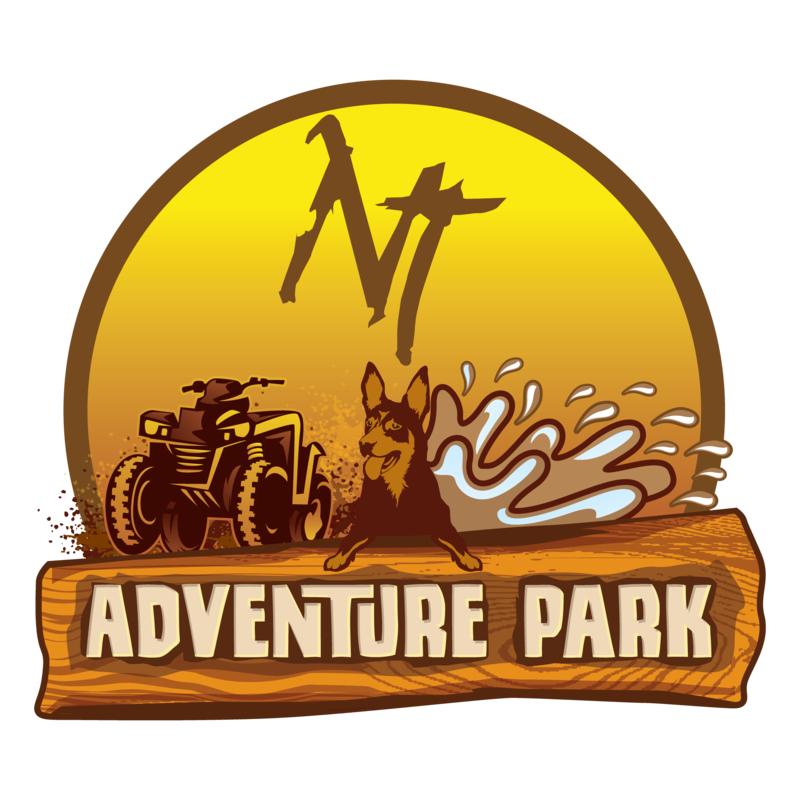 The team at NT Adventure Park are aware that every year Australians dispose of more than 20Mt of waste into landfills and spend billions extracting materials for building. As a result our resources are being depleted at a cost to people, the environment and our planet. In the Northern Territory (NT) the cost to freight items and dispose of waste is very high. Our consumer mind-set encourages the purchase of off-the-shelf items with no thought for whole-of-life costs and industry rush to provide these products. ‘What If’ by using a little bit of engineering and innovation (engenuity) we could recycle some of these household and construction materials to build new projects and reduce the volume of waste disposed. Our team set the challenge to build an eco-village and adventure park: using as much recycled materials as possible and to a high quality standard with products that consumers want. Through innovative design processes and careful project management the result was a ‘multi-award winning tourism business’ created with over 60t of waste and saving almost $0.5M. However in September 2017 nature took its toll. NT Adventure Park fell to ashes as fire raged through the Park desiccating everything in its path! Buildings, plant and equipment fell, dreams plummeted and emotion flew high as the hard work of the team was swept away in one day. In the midst of defeat the NT Adventure Park team are using this opportunity to reassess and rebuilding the Park better than ever before and in a more sustainable location. The Tourism Phoenix will once again raise its head despite the difficult and emotional challenges it has to overcome as the benefit to the people, environment and our planet outweigh the challenges. NT Adventure Park now offers outback quad adventures through Rum Jungle in Batchelor with Mr Buddy and the NT Adventure Park team. Copyright 2019 onwards, NT Adventure Park.